Walter Schofield was born on September10, 1867 in Philadelphia PA. His father was a wealthy business man. Schofield attended the Pennsylvania Academy from 1889 to 1892 under Thomas Anschutz. In 1892 Schofield travelled to Paris to Study at the Academie Julian under William Adolphe Bouguereau and Henry Lucien Doucet. He stayed in Europe for three years. 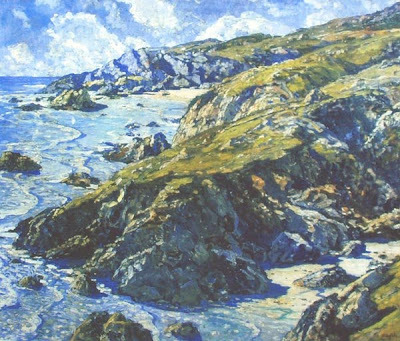 Schofield married Murielle Redmayne in 1896 an English woman and the couple moved to St. Ives in Cornwall on the English coast. 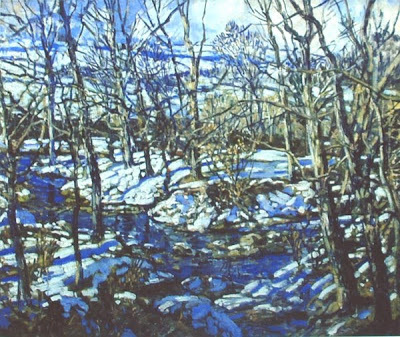 Schofield split his time between England and America returning to Pennsylvania to paint the winters there. 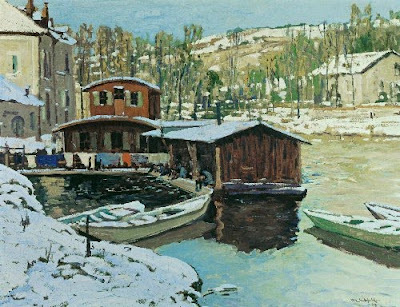 Most of his paintings are of the towns and rugged coast where he lived abroad. 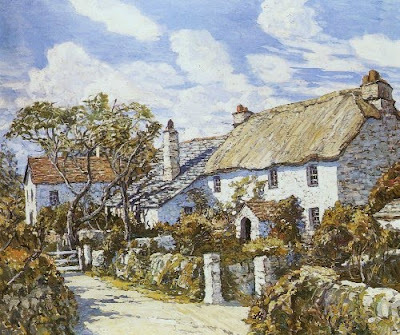 He was first a friend and then a rival of Edward Redfield. The two had met as students and both painted in a similar style. 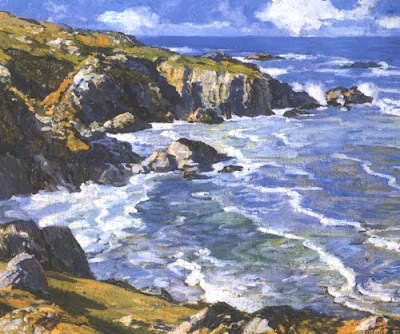 They had a falling out when Redfield had shown Schofield the spot he had picked out for a painting Schofield painted his own version of the scene and entered it in a competition where it won a medal. Redfield was furious and felt Schofield had stolen his idea. Schofield originally worked in muted tones but after the 1920’s his work changed to brighter stronger color. Schofield paintings were large and bold with broad strokes of thick paint painted outdoors in all kinds of weather conditions. 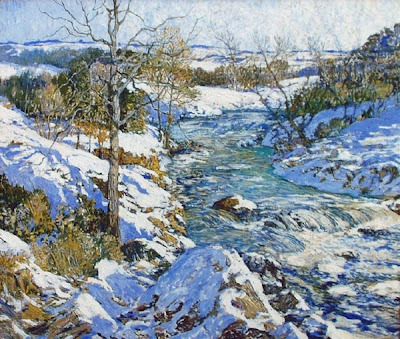 His work along with Redfield helped establish the Pennsylvania style of Impressionism. 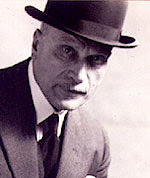 Walter Elmer Schofield died in England in 1944. I enjoy Art and Influence very much!